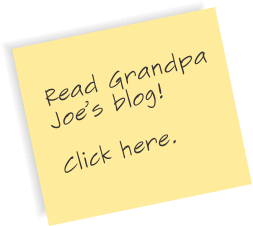 It is the firm policy of Grandpa Joe’s Computer Service to protect your privacy when conducting business with us. We do not and will not sell or otherwise distribute information such as names, addresses, phone numbers, e-mail addresses, credit card information, etc., that was supplied to us in confidence. We will never sell or otherwise distribute confidential information you have shared with us..